WE HAVE THE ARIZONA’S LARGEST GOLF CLUB RENTAL SELECTION & INVENTORY – NEWEST MODELS, HIGHEST QUALITY SETS & BEST PRICES – GUARANTEED! We Deliver to all area hotels, resorts, VRBO, Airbnb & Residences! *PLATINUM SERIES- BRAND NEW- 2018/2019 SEASON! Starting at $29.00 per day and as low as $11.00 per day for Weekly Rentals. Phoenix Golf Club Rentals provides new, top quality golf club rental sets at unbeatable prices, convenient delivery system (delivered anywhere in greater Phoenix Area)or Tempe drop-off/pick-up location near Sky Harbor airport. 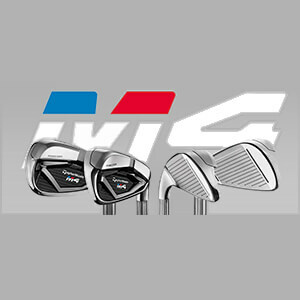 You will receive a new set of PING G400 or TaylorMade M4(New fall 2018/2019 season) or PING G30 or TaylorMade M2 or PING G25 or TaylorMade RSi1/R15/AeroBurner rental clubs. All sets include: Driver, three wood, hybrid, four iron through pitching wedge, sand wedge, and putter. We offer Lob wedges, variety of flex and putter options which are available upon request. Our clubs are the highest quality rental clubs on the market, guaranteed. Our “Platinum” series golf club rental sets are BRAND NEW fall 2018, “Gold” series golf club rental sets are 1+ years old & our “Silver Series golf club rental sets are 3+ years old. Our golf club rental sets are consistently grinded and polished on a weekly basis, thus providing our customers the highest quality golf rentals on the market. 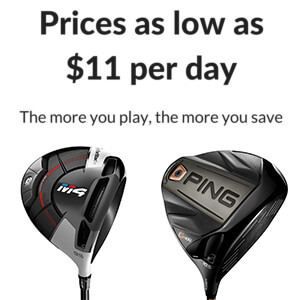 Select the brand and type of clubs you would like to use. Specify any requests you may have such as right-handed or left-handed, shaft stiffness and putter preference. Arrange the delivery time that is most convenient for you between 6am and 8pm seven days a week. Have your clubs delivered to the location of your choice-Hotel, condo, or residence. Click here for our complete list of delivery addresses to Phoenix area hotels and resort locations. Additional Drop-off/pick-up Tempe location, allows our customers the flexibility of dropping off or picking up their rental clubs to and from Sky Harbor airport. Click here for a map of our Tempe pick-up/drop-off location. Mon-Fri 9:00 AM – 6:00 PM. Sat 9:00 AM-2:00 PM- CLOSED SUNDAY. No need to be present for deliveries or pick-ups- Your Schedule/Our Pleasure. See “How it Works” page for details. Our customers never need to wait or be present at their location at the time of delivery or pick up. This allows you to schedule your vacation without any timelines or restrictions. Also, unless otherwise requested by our customers, we deliver night before your first day of play and pick up first thing in the morning, day after the last day of play(For Online Booking: please book 5AM first day of play and 5AM after last day of play). Truly hassle free golf club rental!